With hundreds of millions of users worldwide, DocuSign processes nearly a million documents daily. DocuSign offers features that make our documents both widely compatible and widely accessible. DocuSign supports virtually any type of document file type from most applications – like Microsoft Word, Excel, and PowerPoint – to ensure all your important documents can be sent for signature. DocuSign even recognizes PDF documents and automatically tags form fields for data entry by signers. Supported file formats include .doc, .docx, .pdf, .xls, xlsx, .txt and many others. You can also use the print command to send a document to DocuSign from more than 50,000 applications with DocuSign’s print driver. 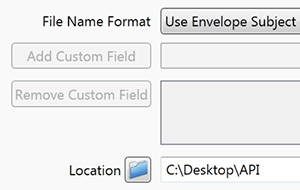 When uploading a PDF, DocuSign automatically recognizes and converts the PDF fields to signer fields. This saves you time when preparing your documents for signing. Guide your customers to sign and initial in all the right places in a matter of seconds. Use standard tags to collect signatures, initials, names, titles, company names and other relevant information — or modify them for specific purposes and save them as custom tags for future use. Available tags include signatures, initials, names, titles, company names, text, numbers, currency, notes and more. Retrieve documents from the most widely used cloud storage services, including Google Drive, Dropbox, Box, Evernote, Microsoft Office 365, Microsoft SkyDrive, Egnyte and Citrix ShareFile. You can place tags and fields to certain lines of text so that when you drop them into a document, they automatically appear at the right location. Even if the document changes, AutoPlace (formerly Anchor Tags) move tags with the text. Senders can include additional information, such as legal disclosures or terms and conditions for signer acknowledgment, as a different and distinct part of an envelope. 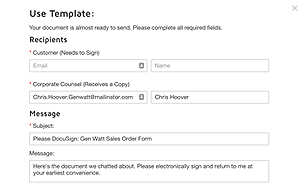 Signers can easily view and accept the supplemental documents, as required by the sender, in this new streamlined signing experience. Comments allows the sender and recipients of an envelope to exchange notes in context of a document directly within the DocuSign web and mobile signing experiences. The feature offers real-time comment notifications, as well as the ability to track and retain conversation history for DocuSign transactions. It’s easy to integrate DocuSign with other applications to prepopulate forms, saving you hassle and reducing errors. DocuSign’s advanced form and field validation capabilities automate business logic, streamlining the process for signers to input data, while giving senders complete control over the data that gets collected. DocuSign offers robust form functionality including checkboxes, radio buttons, dropdown tags, and text, numeric and currency fields. Link your fields to data from other businesses and services. Data moves bidirectionally — from third-party system to your document and vice versa. Restrict the type of data entered into any chosen field to reduce transactions that are “not good order” – eliminating data entry errors and document resending. Validation values include text, email, phone number, date, 5-digit ZIP code, 9-digit ZIP code, social security number and regular expression masking. Automate document logic with DocuSign’s advanced form and field validation capabilities. 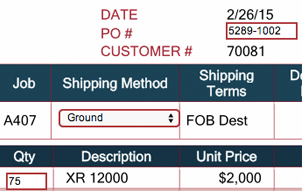 Use Conditional Fields to hide or reveal data that needs to be collected based on a signer’s response to other fields. With Calculated Fields, values are dynamically calculated based on inputs to other fields. Locked Fields protect data you don’t want changed and Linked Fields ensure all changes are reflected across all identical fields. Enable certain fields to be editable by downstream signers. DocuSign manages the changes and requests the initials of other parties before accepting a change. The transaction history tracks all finalized changes. 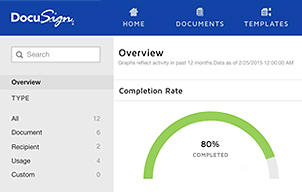 DocuSign Connect operates on a publisher-subscription model to provide real-time updates of document status and form data as the document progresses through actions to completion. 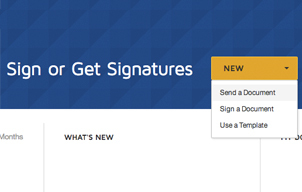 DocuSign lets you specify and order any number of signers. Assign recipients different roles and access beyond signing permissions — you have control over every step of the process. Route documents to multiple users in serial, parallel and mixed sequencing to fit your ideal process. Require users to sign one by one or allow them all to sign at the same time. Define the actions of each recipient in your workflow, like signing, editing, requesting signer attachments, or simply approving a document. DocuSign has multiple roles to help you streamline your workflow to your specific needs. DocuSign gives you full control over who sees each document. When sending multiple documents, restrict which signers can view and access each individual document to protect confidential information. Make changes to a document, even if it's incomplete. Change recipient information, add, edit, remove tags, or add and remove documents not yet signed. Set up automated email reminders for your signers to complete the signing process and add deadline notifications to expire untouched documents or transactions. Make sure your signers are who they say they are. Multiple levels of authentication increase the thresholds required of signers to prove their identity before given access to documents. DocuSign’s built-in form of authentication is email authentication. This ensures the only people signing are those invited by you to sign and have access to the email account. Requires signers to provide a sender-generated code in order to open and sign their documents. 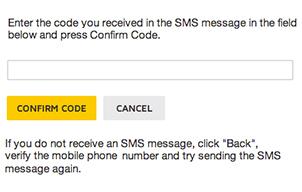 Via SMS text messaging, send a one-time passcode that your recipients must enter to access documents. DocuSign accepts and records authentication by other systems integrated with DocuSign via industry-standard protocols. As an option, Single Sign-On detects email domains at login and redirects to your domain’s Identity Provider for authentication. Requires signers to call a phone number and enter their name and access code to review and sign documents. Requires signers to log in with an additional set of third-party account credentials from Salesforce, Google, Yahoo! or Microsoft. Requires signers to log in with social network credentials from Facebook, Twitter or LinkedIn. Ask your recipients questions referencing non-discoverable information such as past addresses, vehicles owned, and more before granting access to documents. As part of Knowledge Based Authentication, Office of Foreign Assets Control (OFAC) Checking validates whether a signer’s name is on the Specially Designated Nationals List administered by the OFAC. Age Verification validates that a signer’s age is correct as entered and ensures the signer is the proper age to sign (only valid in the United States). Know exactly where your customer signed your document. DocuSign captures the GPS location of a document signature, whether it’s from a home computer or from a mobile device. Send documents with DocuSign and have your customers sign and send back your document within a matter of minutes. Sending and signing is fast, easy and intuitive. 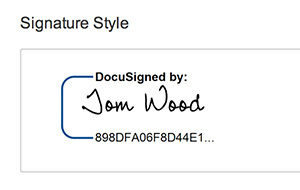 Signing with DocuSign is faster, safer and more accessible than using traditional “wet” signatures. Furthermore, DocuSign ensures the highest levels of enforceability with eSignature. Electronic signatures are legally binding in the United States and most countries around the world. The ESIGN Act of 2000 defined the legality and enforceability of electronic signatures across all 50 states. The ESIGN Act ensures that contracts and signatures cannot be denied validity or enforceability because they are in electronic form. Not all eSignature solutions are created equal. DocuSign is the first company to warrant federal ESIGN and UETA Act compliance. DocuSign lets you sign from any place on any device, whether that’s from your office or sitting face-to-face with the other party. Every signing experience is flexible and configurable. If you are using an iPad, iPhone, Android or Windows device, download an easy-to-use app so you can create, tag, send and sign documents on the fly. Even if you don’t have a DocuSign mobile app installed, you can easily sign documents from your mobile web browser. Sign and send documents with DocuSign mobile apps even when offline. Documents are signed and created, queued, then synced and sent once connectivity is restored. DocuSign has a comprehensive portfolio of digital signature technology solutions that can help companies to meet certain regional- or industry-specific requirements. DocuSign provides both cloud-based and on-premises digital signature-based signing solutions to meet your specific business needs. Take advantage of optional add-on services from DocuSign, and our industry-leading partners, to address specific transaction requirements like content discovery and analysis, payment processing, document retention, notary, and more. For certain transactions, recipients need the option to return a document via fax. DocuSign can help you manage signatures and transactions across any type of device, including fax machines. Collect credit card and debit card information from a document and process it through a payment gateway such as Stripe (only available in the U.S.). And with DocuSign Payments, you can set up documents so that customers sign, pay, and complete business transactions all in one step, using credit cards, Apple Pay or Android Pay. The eOriginal service extends DocuSign to control, manage and share authoritative copies of negotiable instruments such as leases and loans. Authoritative copies are unique, identifiable and unalterable without detection. Execute electronic notarial acts using DocuSign to make the notarization process fully digital for all parties involved, including senders, signers, and notaries. Available in select states. DocuSign Total Search, powered by Seal Software, centralizes documents across multiple repositories and DocuSign accounts. Total Search renders envelope metadata and agreement content searchable, so that you can be more efficient and thorough in contract search and review. DocuSign Intelligent Insights, powered by Seal Software, gives you 360-degree visibility into your agreements across the enterprise. Seal’s AI-driven analytics engine helps you discover organizational risks, obligations, and opportunities hidden within your contracts, and reduces research times from months to days. Robust product reporting makes it easy for DocuSign users and account administrators to see information about their account. Real-time access combined with extensible scheduled reporting means that business statistics are always available and accessible. DocuSign tracks your transactions in real time — every signature, approval and related recipient actions are logged and viewable. Easily customize, run, export and print reports for your account. DocuSign reports on documents, recipients and overall account activity. Share data and statistics by exporting data from documents to an CSV file, ranging from a single data field to data from multiple documents and PowerForms. With DocuSign, your electronic signatures are legally binding and widely accepted for most business transactions around the world. Powerful transaction data logging helps protect your contracts from repudiation. All documents are digitally sealed with the industry standard technology, Public Key Infrastructure (PKI). This Tamper Seal indicates the electronic signature is valid and that the document has not been tampered with after it was downloaded from DocuSign. Track your document through every step of the process. DocuSign maintains a complete, automated history of every activity, including viewing, printing, sending, signing, or declining to sign a document. 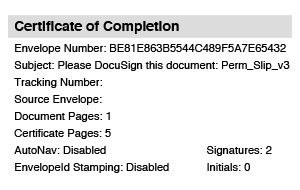 Every signed DocuSign document comes with a certificate of completion that provides proof of the signing process to all parties of the transaction. This certificate includes information from the audit trail, illustrating who signed, timestamps detailing when and where each person signed, and the completed document itself. Configures and updates the Electronic Record and Signature Disclosure (formerly Consumer Disclosure) to be compliant with company policy, requiring signers to consent or re-consent to the Electronic Record and Signature Disclosure notice. Specify a custom watermark to differentiate draft documents from completed documents. The watermark is displayed on all pages of all documents until the signing process is completed. Signed documents and audit trails are maintained by DocuSign’s tamper-evident storage system, providing easy but secure access. For highly regulated industries like financial services, you can maintain a clear record of all transactions by sending a copy of every email interaction between your organization and signers to a secure, email address that's been archived. Control the life of your documents and enforce company policy related to document retention. Automatically purge documents after a specified period of time and notify users in advance of purging. Create and maintain a single copy of a document — known as the "Authoritative Copy" — that is unique, identifiable and unalterable without detection. Download envelopes, documents and data from DocuSign for use with external systems. DocuSign Retrieve runs on your system as a one-time request or on a recurring basis. Configure DocuSign Retrieve to specify file type and storage location. We know how important it is for a service to always be available. That’s why DocuSign is committed to service uptime and total transparency into our system status. DocuSign delivers over 99.99% platform availability. DocuSign publishes and updates availability status on the Trust Center in real time, so you know the DocuSign service is available when you need it. DocuSign uptime statistics are updated monthly to reflect server stability and keep DocuSign status transparent to the public. The DocuSign Trust Center provides updates and alerts of system maintenance and other notifications. DocuSign protects your highly confidential information by encrypting and making every document tamper-evident. Authentication options help prove that signers are who they say they are at the time of signing, helping ensure your documents have non-repudiation in a court of law. With DocuSign, the security of your documents, electronic signature authentication, and system security are top priorities. The DocuSign Trust Center provides information on how we safeguard your data, our certifications and tests, and updates and alerts. DocuSign uses AES 128-bit encryption and SSL 256-bit encryption to ensure documents in the system are encrypted at all times. Any unauthorized changes in the underlying document will be detected and identified as evidence of tampering. DocuSign can automatically reassign your document to a different user after a document has been signed, giving that user ownership and removing access from the original sender. DocuSign is ISO27001 and SSAE 16, SOC 1 Type 2, SOC 2 Type 2, PCI, and FedRAMP Certified. Protect yourself and your signers from scammers and spammers. DocuSign ensures users can validate emails and notifications by utilizing an access code to access documents directly from the DocuSign website. DocuSign is globally recognized and internationally used. Users in more than 180 countries have utilized DocuSign to complete their digital transactions. Allow customers to sign their in native languages, with support for signing experiences in 43 languages and the ability to request signatures in 13 languages. Allow customers to automate and manage entire digital workflows while staying compliant with local and industry eSignature standards, including eIDAS in the EU. DocuSign service is available in any time zone. Any transaction is stamped with a universal time code that is converted to the local time zone you specify. DocuSign ensures all actions are accurately timestamped using a server-based time clock synchronized with the National Institute of Standards & Technology (NIST) atomic clock, helping you keep your records and audit trail as accurate as possible. Customize DocuSign’s functionality with extensive central administration capabilities. Help your employees comply with company policies, set policies on document custody and retention, manage how signers sign or adopt signatures, specify user authentication, and much more. Add users and groups, and easily configure different permissions and privileges for them. Delegated Administration empowers IT, business analysts and others to administer specific functionality within accounts while maintaining maximum flexibility and control. Control the account-wide settings of all users to ensure support for your company’s policies. Make sure all your users have strong passwords to protect your company’s private information. Set password strength requirements for users, including the number of days before expiration, format and more. Reflect your brand on the emails and web pages your recipients see when completing documents. Add your logo, change colors and customize email copy and links. Organizations often require multiple DocuSign accounts but when you’re tasked with handling them, the time and challenges add up. Organization Administration is an infrastructure that empowers you to better control and manage all your accounts and users in a single location. Keep your information secure with domain-level user administration, effortlessly manage users and permissions, even configure Single Sign-On (SSO) without assistance. You’ll save significant time and trouble, while gaining further visibility and control. Organization Administration for DocuSign is available now. We love to see developers dig into our powerful APIs to build creative integrations. That’s why we designed our APIs to be open, easy integration, and transparent. DocuSign publishes both its REST and SOAP APIs. They are easily accessible to developers looking to integrate. Explore DocuSign’s extensive API with our interactive IODocs. DocuSign supports an OAuth2 based tokening system as an additional API authorization option for companies requiring an increased layer of security to custom integrations. The updated and improved Single-Sign-on (SSO) provides just-in-time provisioning, password management integrations, and support for DocuSign’s newest innovations. DocuSign provides a robust sandbox environment facilitating rapid development, testing and deployment of applications using or integrating DocuSign technology. DocuSign’s support of embedded signing allows you to create signing experiences for your users directly within third-party applications. Go through an entire electronic transaction without ever leaving a third-party application. DocuSign Support Plans provide a variety of self-service resources and live support. Free online resources, documentation and training are available to all customers. Additional levels of support are available for a fee. The DocuSign Professional Services team drives adoption, manages risk, and applies best practices to your solution. To help users get the most from their DocuSign investment, DocuSign University provides online education—webinars, tutorials, certification and more.